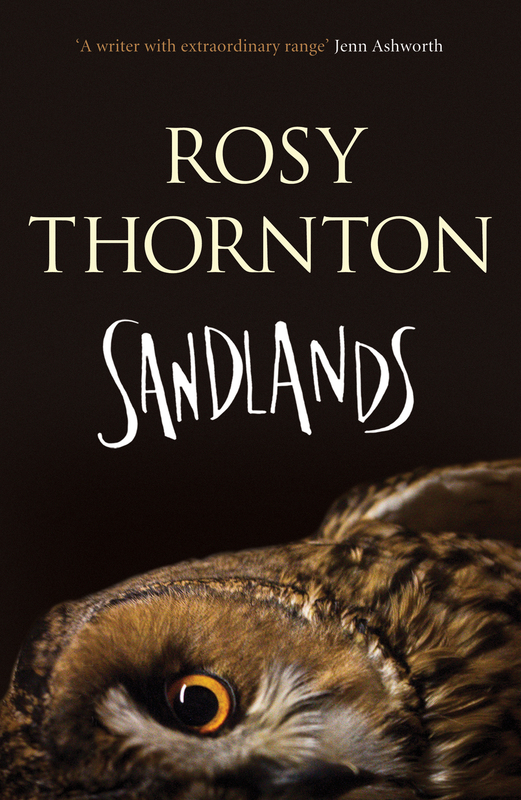 Thrilled to welcome the very lovely and very talented Rosy Thornton to the blog who, after a bucket load of novels, has published a collection of short stories, Sandlands. And she’s here to talk a little about that. But that’s not all, folks because I have a signed copy to give away. All you need to do is pop your name in the comments. The winner will be announced next Monday. Four years ago when I published my fifth novel, Ninepins, which weighed in at just over 97,000 words, I had never in my life attempted to write a short story. My prose style, in fiction as in the academic legal writing which is a large part of my day job as a university law lecturer, has a tendency towards the fulsome, the orotund, the meandering, the grandiloquent… (you get the picture). I once enjoyed the philosophical paradox of having a manuscript rejected by a publisher for being ‘too wordy’. Five novels, none much under 90,000 words and two of them over 120,000. How, I wondered, could anyone begin to say anything at all in less space than that? But a novel is a major undertaking. It takes (me, at any rate) nine months to a year to write, and in that time the characters and their trials and tribulations, their hopes and dreams, their loves and losses (there I go again!) fill up an alarming amount of my emotional and imaginative headspace. Ninepins came out in 2012, and for a variety of reasons over the next couple of years (the death of my father; my mother’s encroaching dementia) I just didn’t have space in my life to embark on another piece of long fiction. But the urge to write still tingled my fingertips – so I had a go at a short story. It was rubbish, of course, so I threw it away and wrote another. And threw that one away and tried again. Soon I had one or two I was happier with, and slowly they multiplied and evolved into the collection of sixteen linked stories published on 21st July as Sandlands. The advantages of short stories from the point of view of the author are obvious. They represent a cheerful, no-strings-attached promiscuity compared with the committed slog of the novel. One preoccupying idea, a weekend at the keyboard, and there’s your first draft, all complete. Then you can set it aside, knowing it’s keeping warm for you until you have the time free to pick it up for a second date, this time with the editing pen. But what of the different skills involved? How do you manage to communicate anything worthwhile in three, or five, or eight thousand words? For me, the trick was to let go of the notion that I was trying to fill an entire canvas. A novel is like a big fat oil painting, complete in every detail – figures in a landscape, with everything coloured in, from the background forest and the clouds in the sky above to the sprigs of grass in the foreground beneath their feet. There’s all the back story, all the sub-plots, the cause and effect and the what-happened-next; the characters’ motivations are carefully layered up, pigment applied upon pigment. A short story is completely. What is absolutely not, it seems to me, is the same compete painting, only smaller. If I say that instead I visualize it as being like a study for a larger painting, that might sound as if I think short stories are somehow unfinished or imperfect, somehow a lesser artefact than longer fiction. That’s not what I mean at all. What a short story presents to the reader, I think, is an intensely painted middle bit – the exciting bit, the bit to which the eye would be drawn in a large work – which is complete in itself. The forest and sky behind and the grass below are nothing but a rough wash of colour, perhaps a few suggestive, sweeping lines, or maybe just empty canvas, because the point of a short story is that it allows readers a lot of blank space to fill in for themselves the what-thens and the maybe-ifs. But that middle bit needs to be precise in every detail, vividly coloured, sharply edged, expressive, just as much as in a novel or even more so. Because it’s the rich, lifelike quality of those few square inches of painted canvas which spark the imagination, enabling it to range and to create, uniquely in the mind of each reader, the detail of the forest, sky and grass. That’s my theory anyway. So I can keep my own voice, the same rather ‘wordy’ style and love of detail that characterise my novels – it’s just that I’m applying it to a small tableau only, and leaving all the background and foreground empty of anything but a few sketchy squiggles. Which is great, because I never could draw clouds. From the white doe appearing through the dark wood to the blue-winged butterflies rising in a cloud as a poignant symbol of happier times, the creatures of the Suffolk landscape move through Rosy Thornton’s delicate and magical collection of stories. The enigmatic Mr Napier is feeding a fox rescued from the floods; an owl has been guarding a cache of long lost letters; a nightingale’s song echoes the sound of a loved voice; spiralling rooks recall the dogfights of wartime Spitfire pilot. Through the landscape and its creatures, the past is linked to the present, and generations of lives are intertwined. 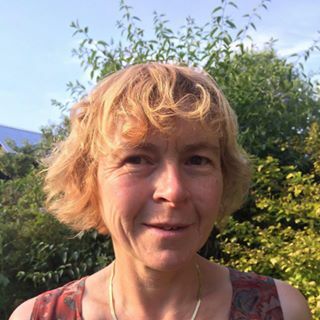 Rosy Thornton is the author of five novels, the latest of which, ‘Ninepins’, won the East Anglian Book Awards prize for fiction in 2012. ‘Sandlands’ is her first short story collection. Rosy lectures in law at the University of Cambridge, where she is a Fellow of Emmanuel College. She divides her life between Cambridge and coastal Suffolk where ‘Sandlands’ is set. I’d love to read it Rosy!